What do I think of the latest huff and puff by some folk of the Niger Delta region threatening that “there will be no peace” in Nigeria if Goodluck Jonathan does not get a second term in 2015? It is easy and tempting to dismiss the voices, of the Dokubo-Asaris or Kingsley Kukus, as the ranting of inconsequential ants and mere rabble-rousers. But that would be wrong. I think there is need to look beyond the messengers and re-examine the message for its real origin and any group mentality or sentimentality. If we say Dokubo-Asari is a flip-flopper with no abiding loyalty to anyone or any principle other than money, what does one say of Kuku, Special Adviser to the President on Niger Delta and chairman of the presidential amnesty programme, who said in the United States that there would be “dire consequences in the Niger Delta if President Jonathan is not re-elected?” Or what do we say of Chief Edwin Clark who has been reported to express similar sentiments in the past? The truth is these are errand deliverers of group sentimentality whose origin lies in a perverse sense of entitlement to the booty from oil resources of the region induced by an equally perverse political structure of the country. But what more do these Niger Delta agent provocateurs want? Has the country not paid enough to the Niger Delta militants and their sponsors through the amnesty programme granted them, the huge “protectionism” contracts the president has given them, and the bunkering that still goes on with the connivance of some “ogas at the top” of security apparatuses? That is precisely the point; in the face of greed there can never be enough. The so-called amnesty granted the militants ab initio was itself laughable. It was a case of throwing money at the festering sore of the region in the belief that that’s all that’s needed. This is not a country based on any sound or deep thinking. And so many actions of government take off from the country – surface and quick fix. There can never be enough. The “protectionism” being paid by the government, once started, must continue. And anything that threatens it or is capable of threatening it will be met with a resistance fiercer than that that originally forced the amnesty. That protectionism has enjoyed astronomic proportions in the hands of Jonathan – a son of the soil. The gravy train must not stop, now or in the future. This selfish pecuniary interest interlocks with the political. The very thought, the very idea, that some groups whose political leadership has ruled (and ruined, though not any worse than others) this country for a disproportionate long time are now up at arms against the country, and demanding that the country be run on their own terms riles. What the BokoHaram are doing in their part of the country but with serious ramification on the rest of the country is unfathomable and provocative to say the least. Consequently, the grandstanding of the Niger Delta agent provocateurs is as a counterforce, an indication of balance of violence, pre-emptive of 2015. All told, what all these means is that we are in a big mess in this country and things are only likely to get from bad to worse. But what with President Jonathan recanting on the issue of amnesty for the BokoHaram, why hasn’t that been embraced? What do the Boko Haramites want? 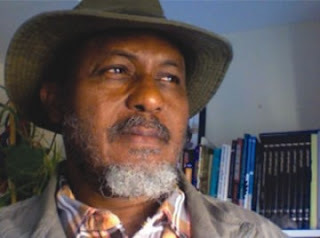 Although BokoHaram may have had its origin in the hands of a few political lords in the North as a force to arm-twist the political process for power and selfish ends, it does appear as if, like the Niger Delta militants too, the group has been hijacked by forces stronger than those initial politicians and perhaps by international nihilists with no agenda other than destabilisation and destruction of countries in which they gain a foothold. So the simple answer is that the Boko Haram wants nothing, the least of which is your so-called amnesty. Amnesty in Nigeria is not “forgiveness,” amnesty in Nigeria is bribery: “Here’s money, stop the killing.” But it is not a once and for all thing; can never be. The money has to keep flowing, and increase with demand, lest the killing resumes with even greater ferocity and “ingenuity.” So where does this lead Nigeria? I am despondent. At no time in the history of this country did we have a chaotic, anarchical, multilateral hacking at the fabric of the country as we do now. Into the cauldron of ethno-political mess one former House of Represetatives member, Farouk Adamu Aliyu, threw his own warning that “It is either a northerner as president in 2015 or there will be no more Nigeria,” while MASSOB’s Uwazurike continues to insist on the actualisation of a Sovereign State of Biafra. Yes, the sanctity of the Nigerian state has been challenged in the past, no doubt, but it is unprecedented to have more than one section of the country tear at the country at once and the same time as we have now. It all boils down to the nature of the country, a country without a soul. We have no nation. The cry of restructuring of ages still blows in the wind. It would take a great statesman to forgo his personal interest and hold the bull by the horn to bring us all to the drawing board of redrawing and re-determining a workable Nigeria – lest the end is nigh! And Pini is gone Was it not the other day, and so recently, that I gleaned from the Facebook that my very good friend Ashikwe Adione-Egom, the brilliant Cambridge University educated “motor park economist” was gone? And I cried. Now, again, another is gone, announced on the Facebook almost at the instant it was happening – Pini Jason is dead. All I could remark on Facebook in the “comments” was that ‘this hurts.” Yes, it hurts. Every day one is cruelly stripped of the company, companionship, or presence of friends or those whose lives help to make life richer and living more attractively challenging. I have had very few encounters with Pini and each time I got the impression, not different from what one gets through his prolific writings, of a grown and sober mind, even an intellectual. He comes across with his sharp wit, good humour spiced with occasional cynicism, but severe candour. When on one occasion he told me how much he read and respected me I felt like taking it to the bank, for here was a man I adored. Upon his death I have come to realise to my amazement that Pini was only 65. I could have sworn he was older than I am. He looked it, but only in the positive sense of being older in mind. A description of him on Gboyega Adelaja’s Facebook page from which I also learnt that Pini (full name Jason Onyegbadue) was an “Old Grammarian” says: “An engaging personality and columnist of distinction who featured regularly in Vanguard, Pini established himself very early as a courageous combatant of the pen profession. He was an unrepentant believer in the Free Press, an untiring defender of the underdog, a conscientious humanist and a dependable ally in the seemingly endless quest to reinvent Nigeria.” That aptly sums up Pini. Rest, my friend, rest in peace. How can you destroy a US aircraft carrier?